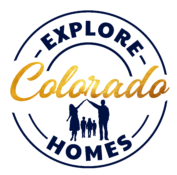 We are so Excited to share all the wonderful things we have grown to love in our Beautiful surrounding areas right here in Colorado! This page will navigate you through some pretty great places to Explore! We hope you enjoy and this so much you will want to share this with your friends! Our goal is to make knowing easy so you have more time to enjoy the breath taking views we have all around us! Educating you with our market expertise is just the beginning! Have fun with all the places we put together for you and we look forward to hearing from you! Events- Festivals- Parades~ Plan your day, week, or year with this page! Colorado Springs Nature Centers and Museums~ Colorado is about Nature! Parks- Lakes- Fishing – This is a fun page for those who loves the outdoors! Get out and Explore Colorado! Hikes and Bikes Trails~ On this page you will find a ton of Trails to Explore! We are Always adding more so stay in touch!